Cordova District Fishermen United facilitates and co-hosts several programs throughout the year. The intent of these programs is to fulfill our mission of promoting and perpetuating commercial fishing while supporting our local communities and industry. Through a multi organizational effort by CDFU, Prince William Sound Science Center, Copper River Watershed Project, and Wild Salmon Center, students are given the opportunity to learn about local careers in the fishing industry of Cordova and enjoy a delicious salmon lunch! CDFU facilitates an annual fish drive where the Copper River/Prince William Sound drift gillnet fleet donates on average 800 pounds a year to the schools. Local processors and tenders donate their time and work effort to prepare the fillets for future use in lunch plans. This salmon is used for lunches through out the year so that kids may have healthy eating choices that also build appreciation for local sustainable resources. We want to thank the Area E commercial fleet for their continued donation to this program. With out the help of our fleet and local processors, programs like this would not be possible. Senior Salmon Day is an annual donation event held every June and scheduled around fishing openers and delivery schedules to guarantee fresh deliveries of salmon. Here at Cordova District Fishermen United (CDFU), we facilitate the delivery of donated salmon fillets to the elders of Cordova’s community. Senior Salmon Day does not just engage fishermen but all participants of Cordova’s commercial fisheries as well including tenders, processors, non-profit organizations and citizen volunteers. From 2008 to 2017 the fishing fleet has donated roughly 200-500 whole salmon each year. That’s a lot of meals! We are very thankful to our local processors and tenders who donate their time and labor to this event. Since 2017, CDFU has co-hosted an annual Harbor Clean Up Day with the Native Village of Eyak. Harbor Clean Up Day is focused on preserving and protecting the environments that support our fisheries while educating the public about the affects of pollution on our marine eco systems. This event takes place in early summer just before the start of the fishing season. It is CDFU’s hope to bring commercial fishermen and the community together in an effort to promote the local stewardship of the “Heart of Cordova” for generations to come. CDFU wants to give a big thank you to our local cub scout group, troop 624, for their participation and enthusiasm in Harbor Clean Up Days these last two years. The Blessing of the Fleet is an annual event that occurs before the beginning of the commercial fishing season. Cordova’s local pastors, of many faiths, come together for a morning ceremony praying for fair winds and following seas. Commercial vessels are invited to pass by the hosting vessel , often the USCG Cutter and crew, to have their boats sprinkled with holy water. The ceremony is broadcasted over radio so public and fishermen may listen in. All are welcome regardless of background or spiritual affiliation. We hope to see our vessel owners driving by and taking part in this tradition, celebrating another year of fishing and another year doing what you love. Each year, CDFU oversees the execution of placing channel markers and buoys throughout the transiting areas of the Copper River flats. These buoys and markers help tenders, gillnetters, and subsistence vessels navigate the flats in a safe and effective way. CDFU extends thanks to the Copper River/Prince William Sound Marketing Association for their support of this program as a valued financial contributor in 2017. 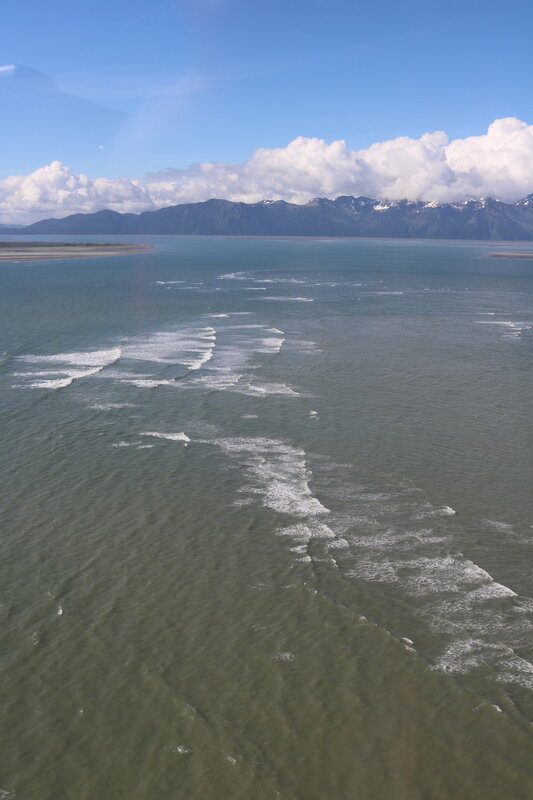 We look forward to working with many partners in this effort in the years to come in order to keep fishermen safe when navigating to and from the Copper River flats. 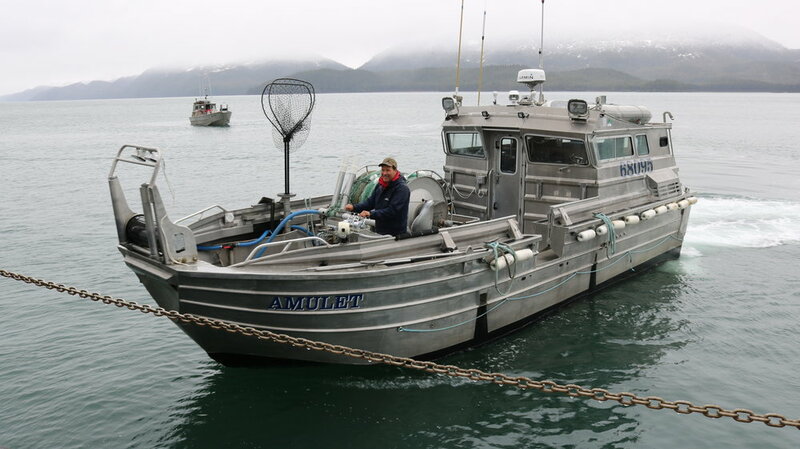 Cordova District Fishermen United has been teaming up with the Department of Fish & Game to replace and add new markers for anadromous streams through out the Prince William Sound. Over the next two to three years this project will mark approximately 250 streams with new signage supplied by Cordova District Fishermen United's, Seine division. The replacement project will start with marking priority streams in the Eastern, Northern, and Southwestern Districts. Through collaboration efforts the Department of Public Safety has offered their help in replacing these markers in areas of high activity. 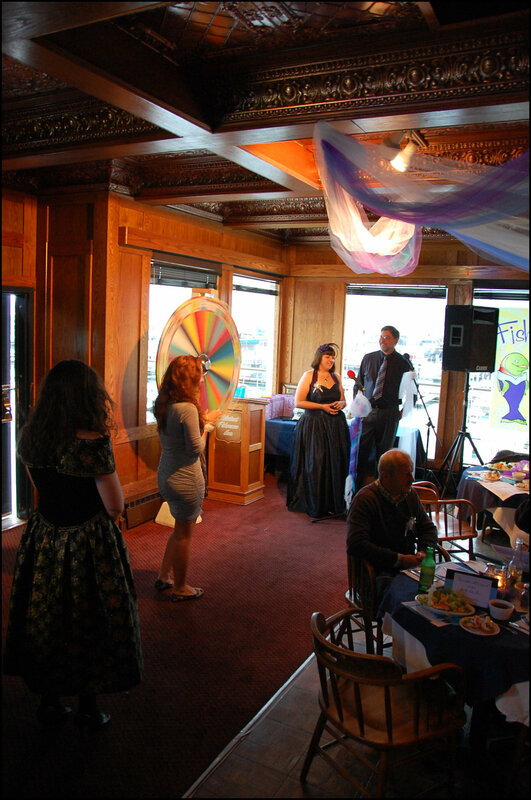 CDFU hosts an bi-annual Fish Prom dinner to raise funds for scholarships that are awarded to individuals seeking further education, with a vested interest in our fishery and the community of Cordova. This fundraiser is CDFU’s biggest, and most resource-intensive event, and generates solely restricted funds for the purpose of educational scholarships and outreach opportunities. This event involves a lot of collaboration and volunteer effort between businesses and the community.